At Gerber Life we know the value of a hard-earned dollar. And when you're raising a family, it becomes even more important to stretch that dollar as far as it can go to help you save money. Our family finance tips can help you make smart decisions for spending your money as well as help you make use of opportunities to save it. Whether it's clipping coupons before grocery shopping or throwing a do-it-yourself (DIY) children's birthday party, our family finance tips can help you think outside the box so that you can save money. No matter which generation we’re a part of, we want the best for our children and we’re willing to put in the work to make that happen. However, the United States is a very different place from what it was 20 or 30 years ago. Millennial parents have challenges, resources and opportunities that their parents never faced or envisioned, which has led to some very big differences in how millennials approach parenting. 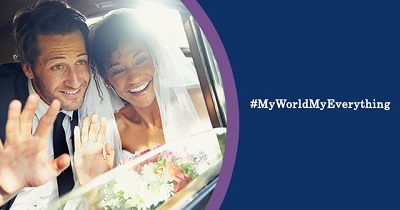 The current median age for getting married is 30 years old, compared to 23 years in the 1970s.1 With more women pursuing careers and with prices and expenses increasing, family life seems to be put on hold. Nowadays, new fathers play a bigger role at home than did previous generations of dads. 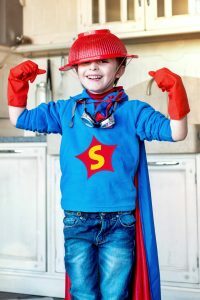 They strive to be “perfect” and are interested in learning everything they can about parenting.3 As super dads, they are more involved with tasks like baby-proofing, changing diapers, making important purchasing decisions and more. Millennials tend to be more health conscious than previous generations. They carry their health consciousness into their parenting style, aiming to serve as positive, healthy role models. Millennial parents look for ways to be more “present” and involved, and let their kids be part of the decision-making process. Breaking away from “helicopter parenting,” they give their kids choices. Instead of pushing them to strive for perfection, they keep it real by having candid conversations with their little ones. And, of course, any sound retirement plan includes life insurance, so that spouses and children are financially protected if the unexpected happens. Yes, the parenting world we live in today is very different from previous generations. And Millennials may not be doing things the same way their parents did. New challenges require new approaches, and millennial parents are rising to meet those challenges. They seem to be doing parenting right. Giving your family the security of life insurance protection is an important part of your financial planning. But how much does life insurance cost? Surprisingly, it can be quite affordable with options that fit every budget. Check out the image below to see how affordable life insurance actually is. Halloween is in HOW many days? 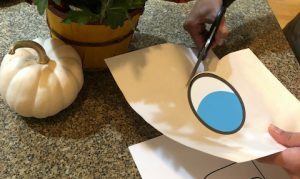 Don’t worry, we have some last-minute costume and décor ideas that can make you look like a pro and that you can make with your child. If you’re putting things together in a hurry and on a budget, no problem. You could use materials from around the house to create a masterpiece. 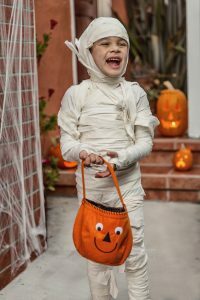 Use an old sheet or a roll of gauze bandages to give your child a “preserved” look. If using a white sheet, rip it into long strips. Wrap the strips or the gauze around your child in two sections – top and bottom – keeping the top separate from the bottom (you’ll thank us later for this tip). Dab smoky eye shadow around your child’s eyes and a little on the cheeks. Start with leggings and a matching T shirt. You’ll also need some spare felt, safety pins or fabric glue, child-safe scissors and a solid-colored blanket or sheet. First, cut out a large letter –– from the felt, then attach it to the T shirt with safety pins or fabric glue. Cut other pieces of felt into strips and turn them into a belt, headband or eye mask. Add a solid-colored blanket or sheet and you’ve got a Superhero cape. Got a yellow T shirt in a size that’s too big for your kiddo? Perfect! Next thing you’ll need is a printout of “emoji” facial expressions. Then, attach the selected emoji to the T shirt with glue or safety pins, or use a stick-on emoji. If you have several yellow T shirts, you could make more emoji T shirts and have the whole family go trick-or-treating as every mood. 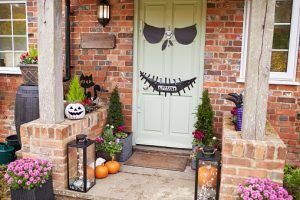 Turn your front door into a spooky or silly face that can catch the eyes of passersby. All you need is some white or colored paper, tape, child-safety scissors and imagination. Transform your entryway into a critter cave. Begin by stretching cotton batting into long pieces, then positioning them in the entryway to create fake cobwebs. Sprinkle plastic or paper spiders throughout the cobwebs for a Halloween-style, spine-tingling effect. Finish the look by hanging cut-out paper bats from the ceiling. 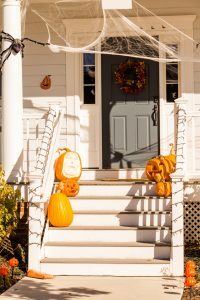 Halloween is a lot of fun for you and the children, but it’s important to play it safe. – Remember to keep your pathways cleared and well-lit for trick-or-treaters. – Make sure that your kids are visible when trick-or-treating at night by attaching reflective tape to their costumes. – Don’t forget to check the candy they bring home! For more fun and helpful tips, subscribe to our blog. Isn’t it funny how the entire concept of summer vacation tends to change when you’re the one who has to plan – and pay – for it? School’s out, your kids want to do something fun, and so do you. If you believe the hype, it seems like the best opportunities cost too much money or involve travel—another luxury. Don’t worry, it’s easy to find tons of fantastic adventures that are affordable, and right in your own backyard. 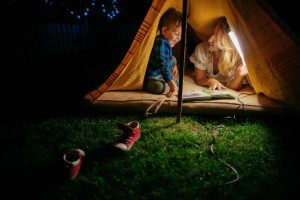 Here are five suggestions that can help you spend quality time with your kids this summer without breaking the bank. You’ve tied the knot and committed to spending the rest of your life with another person, through sickness and in health. Now that the festivities have subsided, it’s time to start working on combining your life with your partner’s. There are a lot of things to consider, especially when combining finances.